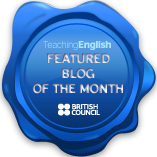 This is a lesson plan based around the theme of hangovers in which students get to grips with past modals of deduction, and question formation. What’s the worst hangover you can remember? Do any specific drinks give you a worse hangover? Give out the situation handout. Read out the situation and clear up any vocabulary issues. You wake up on your sofa with a very sore head. Your friends are all sleeping on the floor of the living room. One of your friends is wearing a wedding dress. You have a big bruise on your knee. There is an unfamiliar cat walking around the room. The room smells of vomit. Your car is not outside. Possible past actions Could/might/may have + past part. My friend might have got married! Must have + past part. We must have got really drunk. Can’t have + past part. I can’t have driven home. Should/shouldn’t have + past part. We shouldn’t have drunk so much. First brainstorm the questions for the mysteries. Where did I leave the car? Where did the cat come from? Why is my friend wearing a wedding dress? Why did I fall asleep on the sofa? How did I hurt my knee? Why does the house smell like vomit? 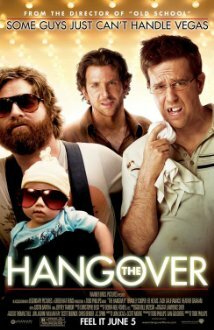 Tell students you are going to show them a clip from the film “The Hangover” that contains a similar situation. Tell them that while they watch they should make a note of the different mysteries. After watching brainstorm the mysteries, putting all of them on the board paying special attention to question formation. Then have students speculate on the mysteries using past modals of deduction. Put students in groups and have them write new hangover situations with lots of mysteries, they then exchange situations with another group and speculate about each other’s situations. I think this is an excellent lesson!!!! I recently made a prezi presentation using the materials of your class and I would like to share it with you and other teachers! Looks great! I’m definitely gonna use that, you’ve tied it all together nicely. Thank you! This looks great! It’ll help my student with dyslexia! I have a dyslexic student too. Do you have any specific techniques or materials you use? Great way to engage them in a more fun and meaningful way! !…I’m going to try tomorrow with my students!